The Trial Versions are installed without active transport System. 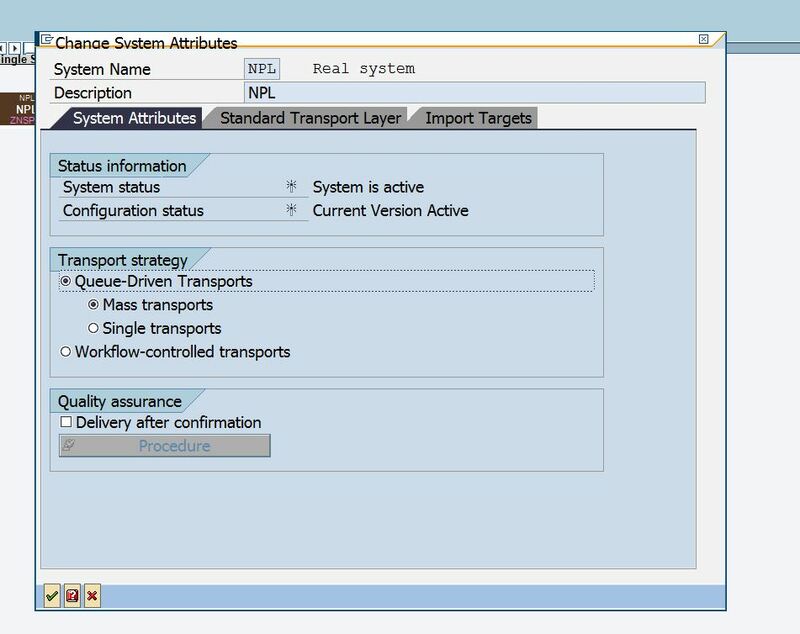 So User has to call transaction STMS and to configure the transport system by his own. So You mark rectangle NPL and put it into the bottom block. Then do You the same with rectangle CL5. So they are in the bottom block like in the picture above (without lines). 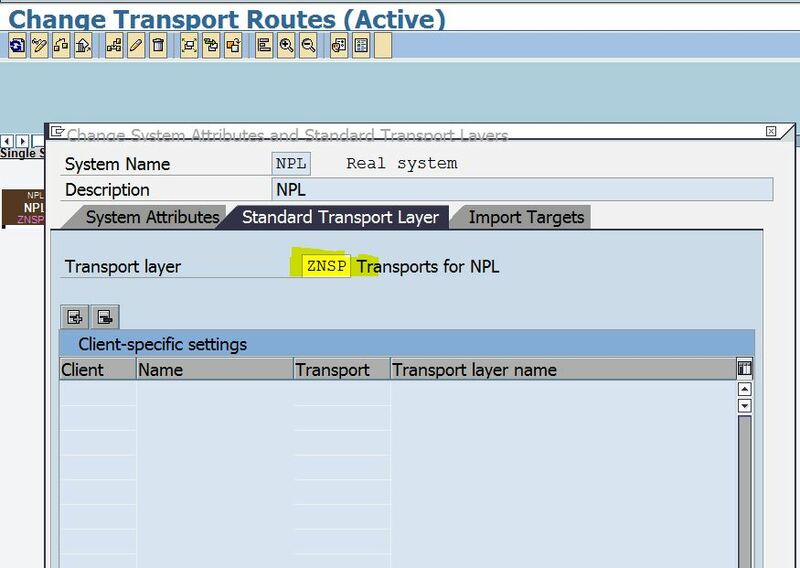 Then go into “Menu: Edit/”Transport Layer”/Create” and create a new transport layer (e.g. ZNSP). Go into “Menu: Edit/”Transport Route”/”Add Transport Route”” . The Mouse pointer changes into a pencil. 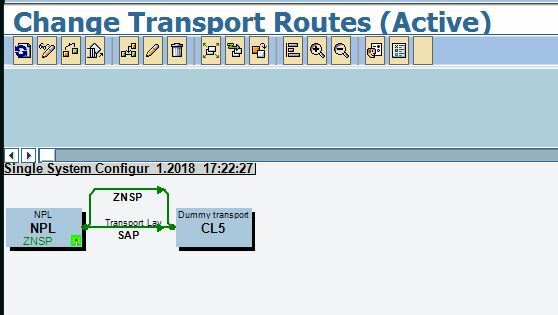 Click with the pencil on block NPL and don’t finish clicking, till You have made a line to block CL5. Take the transport layer, You have created before (e.g. ZNSP). If You want, You can make the same with transport layer SAP, though You shall not use it for Your own developments. And if data shall be activated and distributed. You can say Yes at that moment, or make it manually later. Go to register “Standard Transport Layer” and fill in Your created transport layer. This will be used, if You create standard transports. Save and acitvate the changes.